Beautifully decorated. Great location. Water and snacks were appreciated. Cozy and comfy. And there was a record player and lots of really good albums. For us oldsters. '60's and 70's. Also CDs. The condos decor was so fun. Loved the details. Water in fridge, snacks on the counter!! Great relaxing place!!! Jenny was wonderful and helpful. 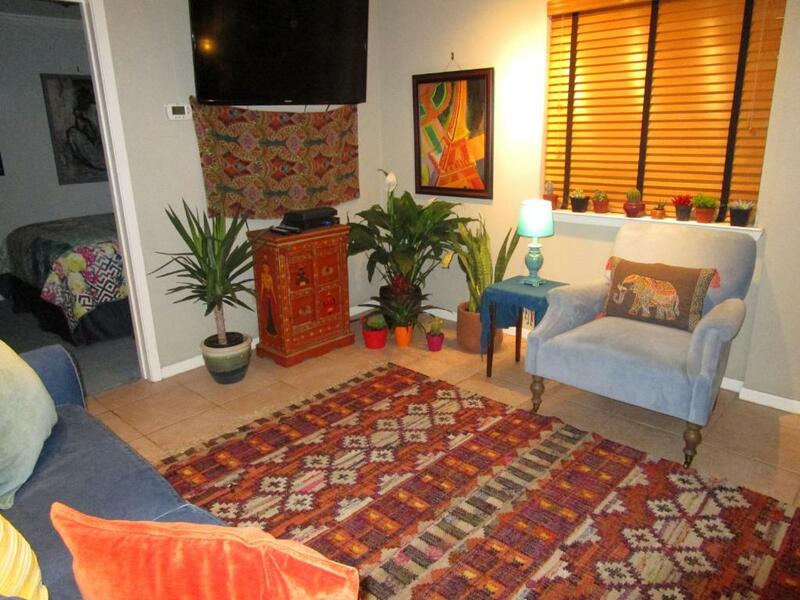 Condo is very cozy, beautifully decorated and well stocked with anything you could want. Location is great. One of our favorites! There was lots of water bottles in the refrigerator. And bed was comfortable. I enjoyed the CD player. 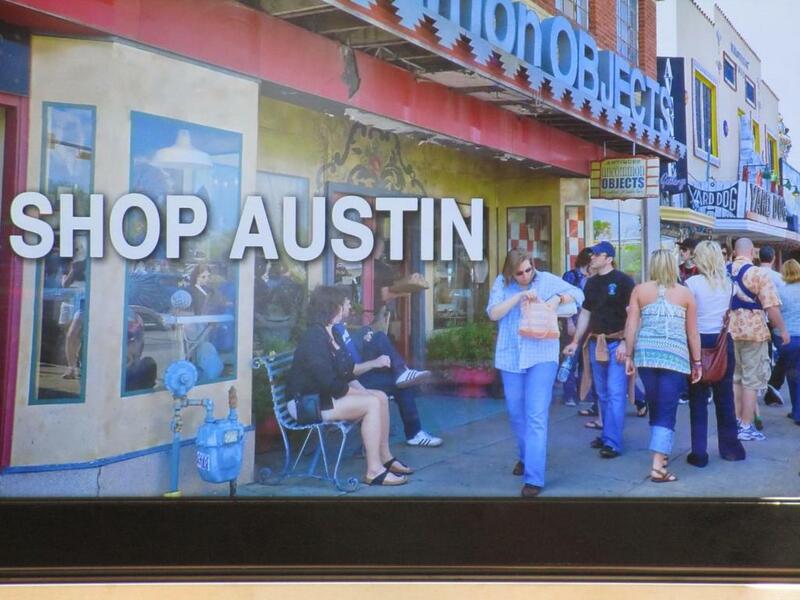 The location was good for visiting downtown Austin. And it had secured parking, which was a big plus. Coffee, filters, unlimited bottled water, , chips, salsa, trail mix! Perfect directions to access unit and parking space. 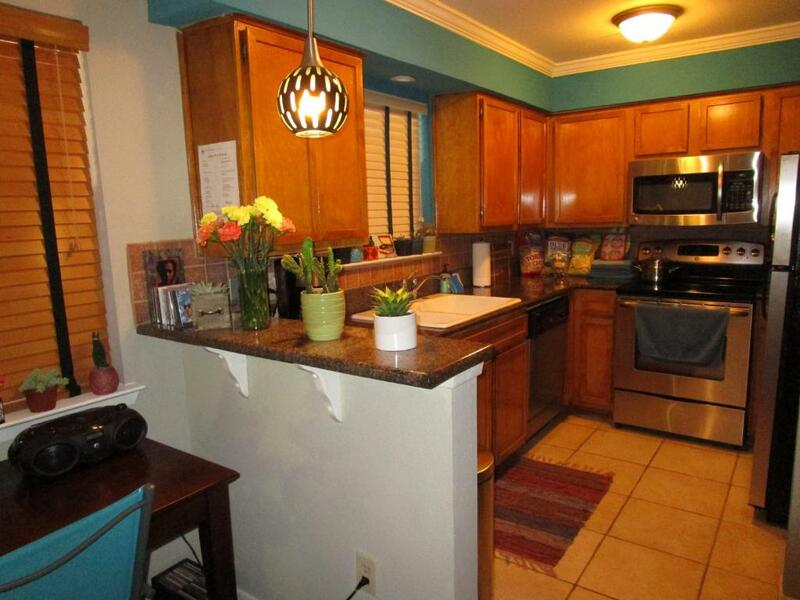 Clean and well-kept, close to all interesting things in downtown Austin! Jenny obviously took great care to ensure the property is the perfect fit for guests-small touches like records to listen to, earplugs for 6th street shows, and snacks and water in abundance really made us feel welcome and enhanced our stay. The location is walkable to EVERYTHING! Central location. Bus #100 takes you to and from airport for $1.25 in 30 minutes. The apartament was much better than it looked on the pictures. Extremely nice and comfortable. It has everything including large selection of good music on cds and vinyls. Host was fantastic. However it is a dark place with limited daylight. This was such a great experience in every way. Comfy, colorful, abundant and plush towels, blue corn chips and salsa, lots of waters, great coffee, even fresh flowers. Lock in a great price for The Railyard Condominiums – rated 9.7 by recent guests! One of our top picks in Austin – and a guest favorite. The Railyard Condominiums is a self-catering property located in Austin near Austin Convention Center. 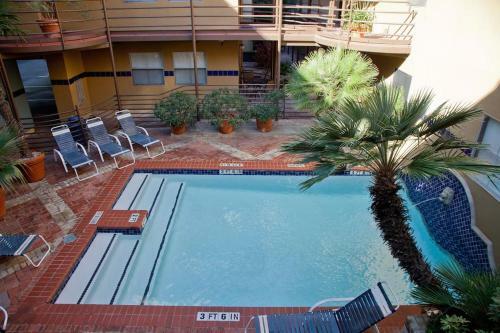 The Capitol Building and the Frank Erwin Center - University of Texas are within 0.8 miles and 1.1 miles of the apartment, and free WiFi is provided. The apartment features 1 bedroom, a flat-screen TV with cable channels and a fully equipped kitchen that provides guests with a dishwasher, an oven, and a washing machine. The apartment also offers a bathroom with a bath, a shower and free toiletries. Popular points of interest near The Railyard Condominuims include O Henry Museum, 6th Street and The Driskill. The nearest airport is Austin-Bergstrom International Airport, 7 miles from the accommodation. 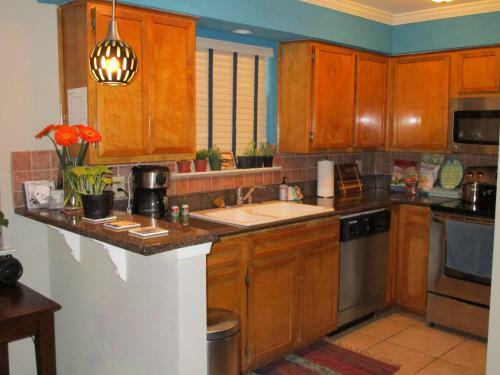 뀐 Located in the real heart of Austin, this property has an excellent location score of 10.0! When would you like to stay at The Railyard Condominiums? This apartment has a soundproofing, dishwasher and private pool. 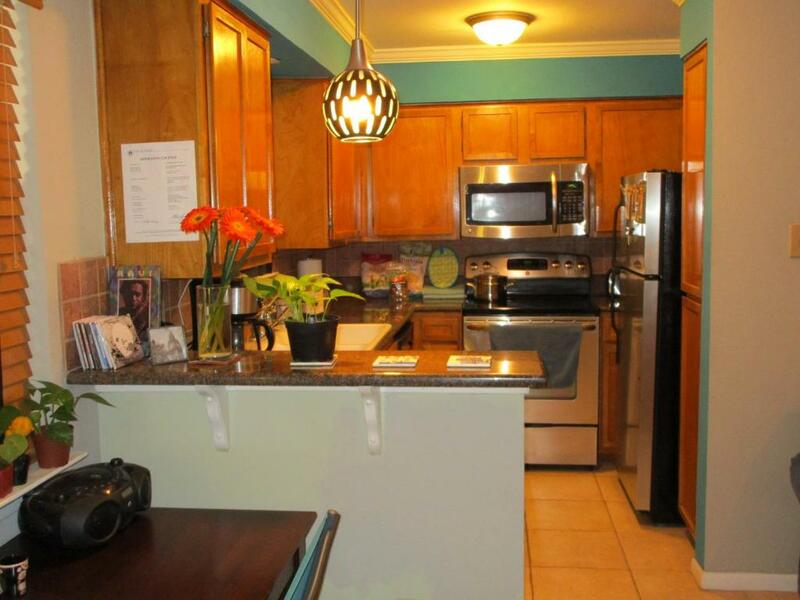 Featuring a completely newly renovated condo with free Wi-Fi and free downtown parking. Location, Location, Location This condo at Railyard Condos features a living room with a flat-screen TV, a full kitchen and private bathroom. Brand new state of the art washer and dryer, brand new posturepedic sleeper couch and bright colors makes the guest feel all the comforts of home. For guests who want to explore the surroundings, the 6th Street entertainment district and Austin Convention Center are less than a 5-minute walk away. 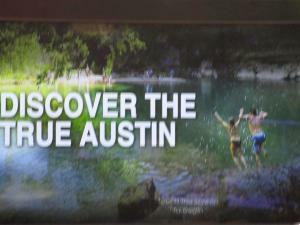 The Austin-Bergstrom International Airport is about a 15-minute drive from the property. 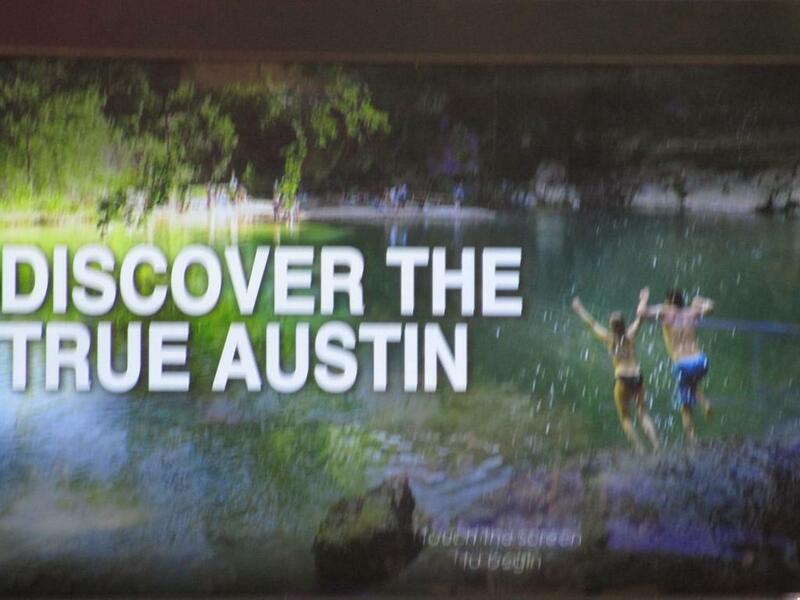 This is our guests' favorite part of Austin, according to independent reviews. House Rules The Railyard Condominiums takes special requests – add in the next step! The Railyard Condominiums accepts these cards and reserves the right to temporarily hold an amount prior to arrival. Please inform The Railyard Condominiums of your expected arrival time in advance. You can use the Special Requests box when booking, or contact the property directly using the contact details in your confirmation. That coffee and bottled water were already supplied for us and the snacks too. Ideal location - walk to everything and easy parking. Prompt responses to any messages I sent. Straight forward and easy to follow instructions from start to end. Not really any sunlight. Ground floor unit so it was dark. But adequate lights, lamps. Outside noise was loud, gate slamming, people coming and going talking and walking at night. Kind of "walled in" on the outside, no real view, but that was of little importance. 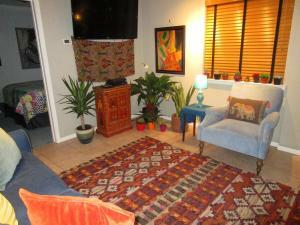 Great location, great condo, no complaints! I was traveling by myself so it made the trip more stressful. The t.v selection was limited. Each night people LOUDLY partied outside the unit near the small fountain. On one occasion up until after 3:00am. THAT WAS THE ONLY DRAWBACK! I stayed in the apartment for one week. It was very cozy and felt like being in my own home. I had a kitchen in which I could make my own coffee, breakfast etc. The apartment was located in a very central part of the town so I could easily walk around to different places. 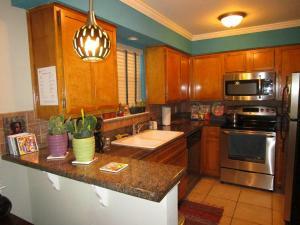 The host was very friendly, answered questions quickly and had prepared the apartment perfectly. Friday and Saturday nights were filled with partying loudmouths until 2:30am. I'm sure these were non-owners who were alcoholics. Very hard to sleep because condo was next to stairwell. Very noisy at night. People always going right by the windows.